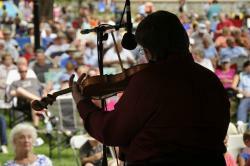 Bring the whole family for a weekend of fun surrounding the Bluegrass on the Grass Festival held in Carlisle on July 14th. This free event is held on the Academic Quad lawn at Dickinson College and features a variety of music acts, food vendors (from bratwurst to Thai food and ice cream) and non-alcoholic drinks, including smoothies. You can start setting up blankets and lawn chairs at 8 am and the event runs from Noon to 8 pm. If you plan to visit for the festival you can make an affordable, family-friendly weekend getaway out of your trip. July is a great time to explore the local farmers markets and road side stands. Start at Paulus Farm Market in Mechanicsburg. They feature barnyard animals and play areas including horse tire swings, wooden tractors and wagons. You can also shop for fresh produce or pick your own flowers and herbs. 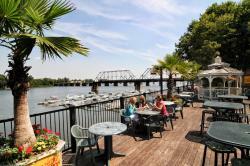 You can also enjoy the nice weather with a ride aboard the Pride of the Susquehanna Riverboat. This authentic, stern-driven paddle wheeler features a variety of themed rides for adults and children. Outdoorsy families can hit our trails by following our Top 10 Hikes, boating opportunities or bike routes. 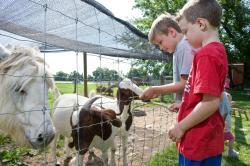 View all the family fun options in the Valley here. When it&apos;s time to grab a bite, there are tons of family-friendly restaurants in the Valley. You can also dine in Carlisle for flavors from around the world, or head to Wormleysburg for dinner along the Susquehanna River. Start planning your stay by booking your room here.